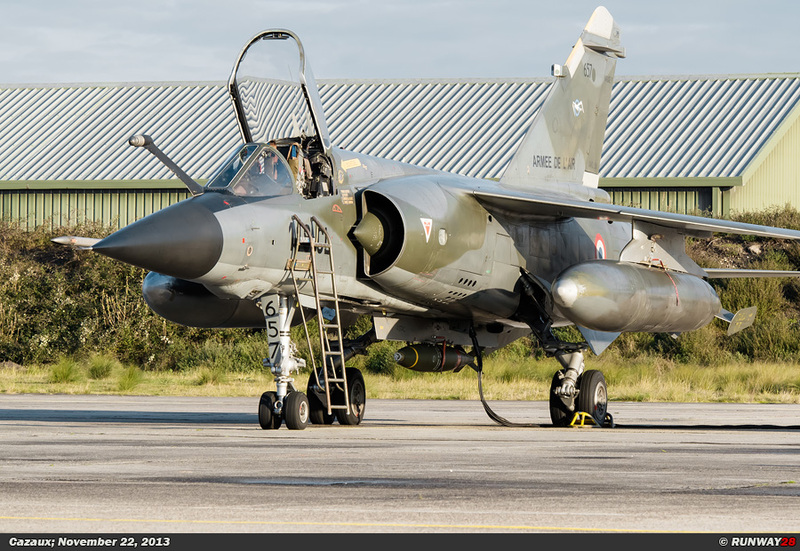 The last operational Mirage F1 fighters of the French Air Force practiced their bombing skills for the last time at the shooting range in the third week of November 2013. 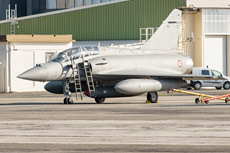 During this last Campagne de Tir at the French airbase Cazaux in the south of France, live weapons were dropped during the media day around this event. 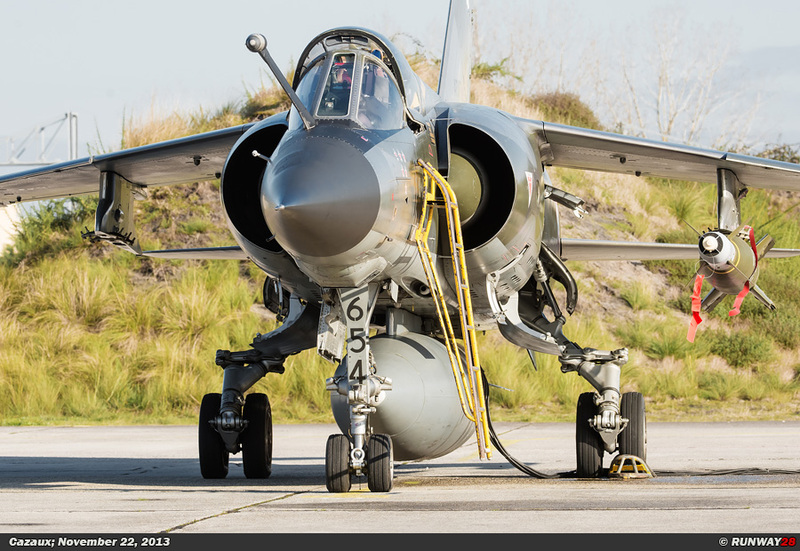 After an impressive career of nearly 40 years, the Dassault Mirage F1 is now in the end phase of its career. 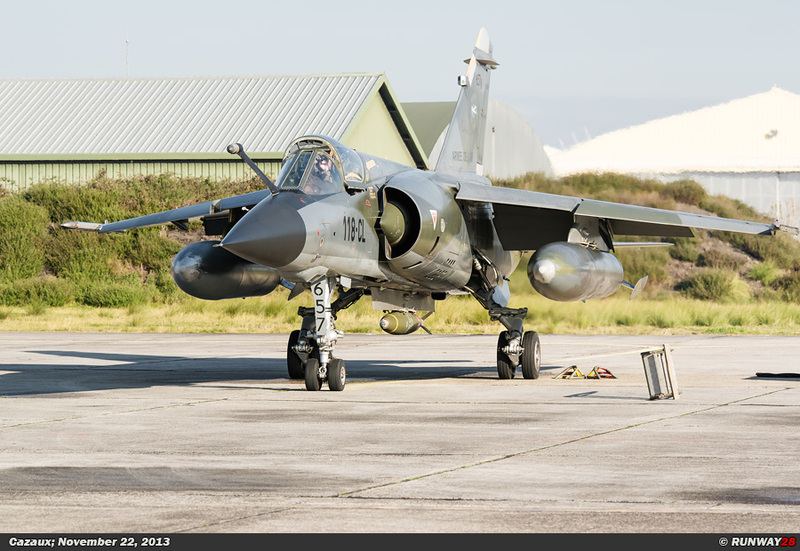 In the third week of November, the last operational Mirage F1s and its crews went for the last time on shooting course. The shooting camp is known in France as “Champ de Tir” and includes aspects such as the dropping of live weapons. 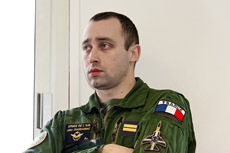 The commander of Escadron de Reconnaissance 2/33 (ER02.033), also known as “Savoy”, is Lieutenant-Colonel Benjamin Souberbielle. He is also the person who gave the interviews during the media day around this event. 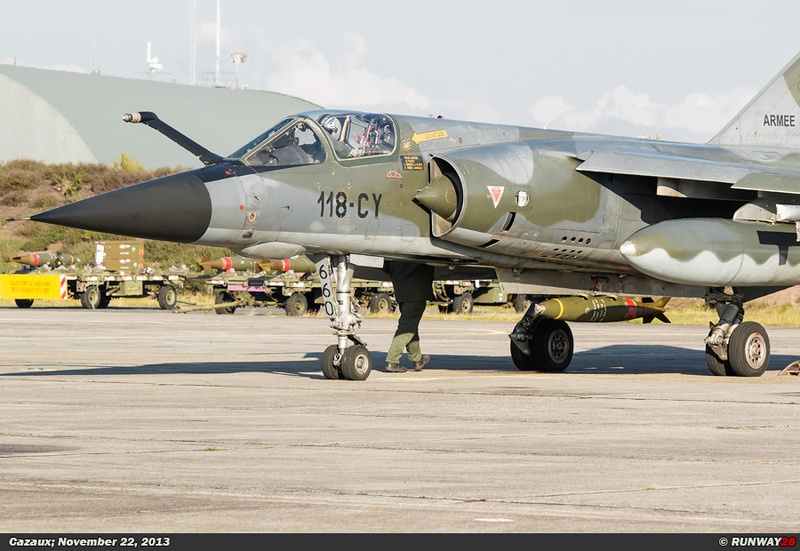 Souberbielle is since Septem- ber 5, 2013, the commander of the unit and he has more than 2800 flying hours to his name; more than 1500 of these hours were made on the Mirage F1. 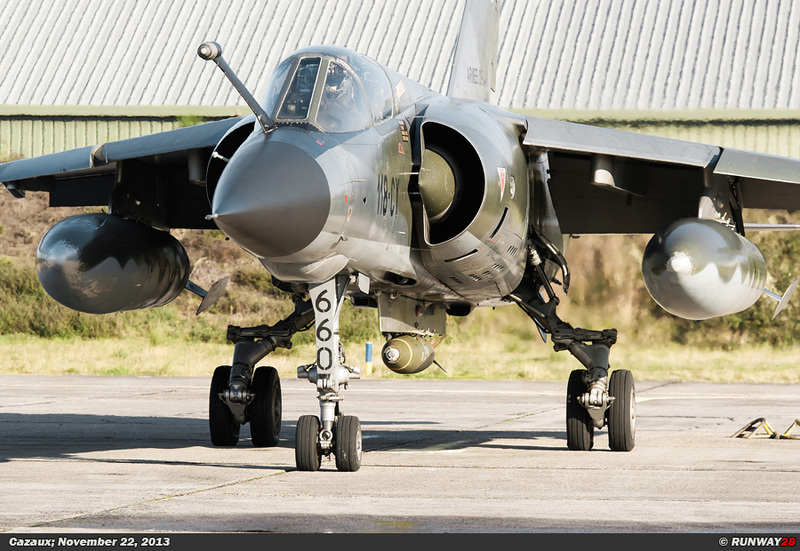 After the retirement of the Mirage F1, he goes to work for the Bombe De Guerre (GSB) at Cazaux. 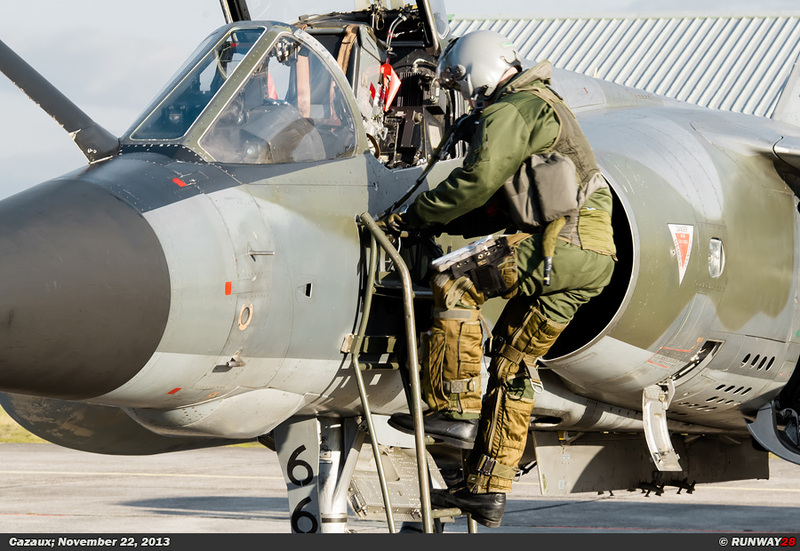 Savoie now has 23 pilots and 70 mechanics; about 50 of these mechanics joined the exercise at Cazaux. 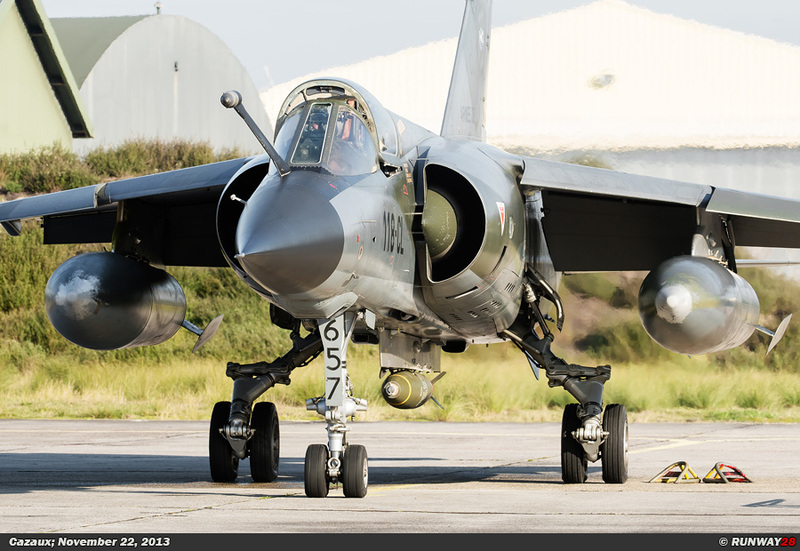 There are still 20 Mirage F1s in operational service which are used for reconnaissance and bombing missions. 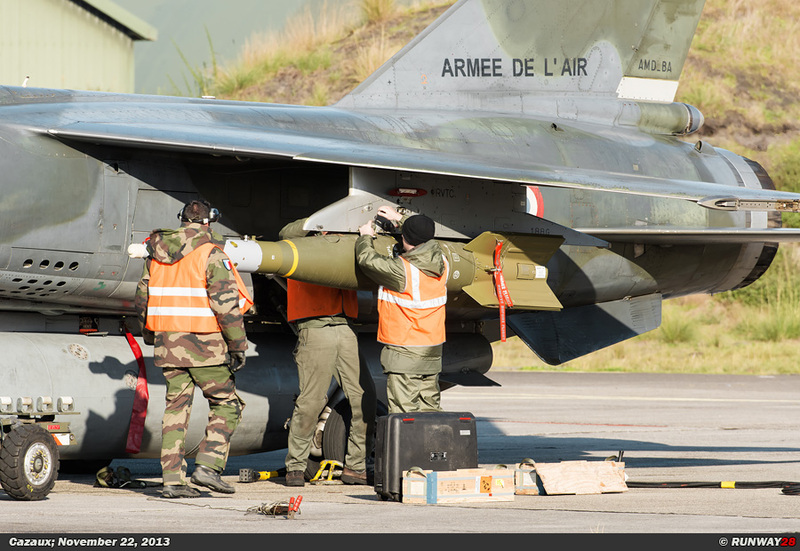 It is the last “Champ de Tir” with real bombs for the Mirage F1 crews. 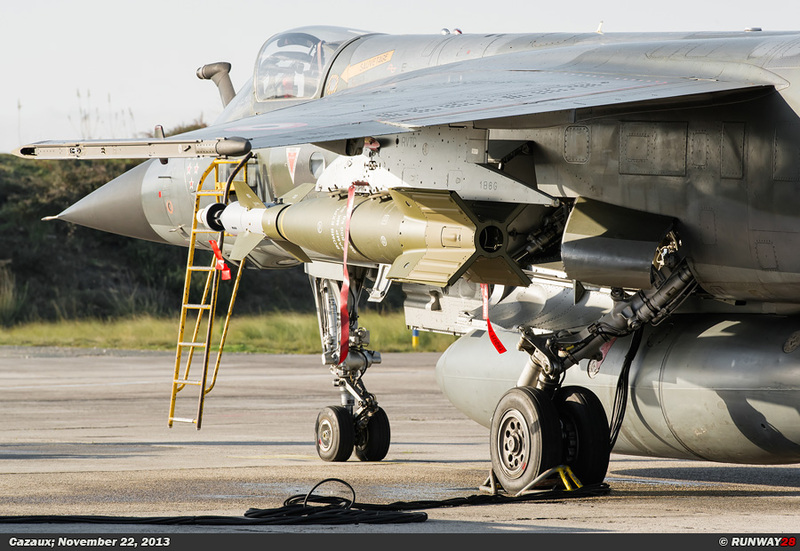 This campaign is intended to qualify the pilots for the dropping of real bombs. 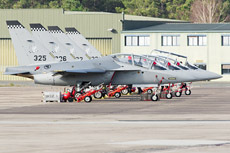 Cazaux airbase is chosen for these kinds of shooting camps, because it is a very large area which is suitable for these kinds of training missions with live ammunition. 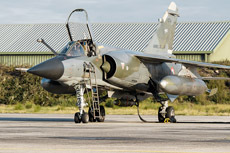 All squadrons of the French Air Force are every year active at this air base to qualify their bombing skills. 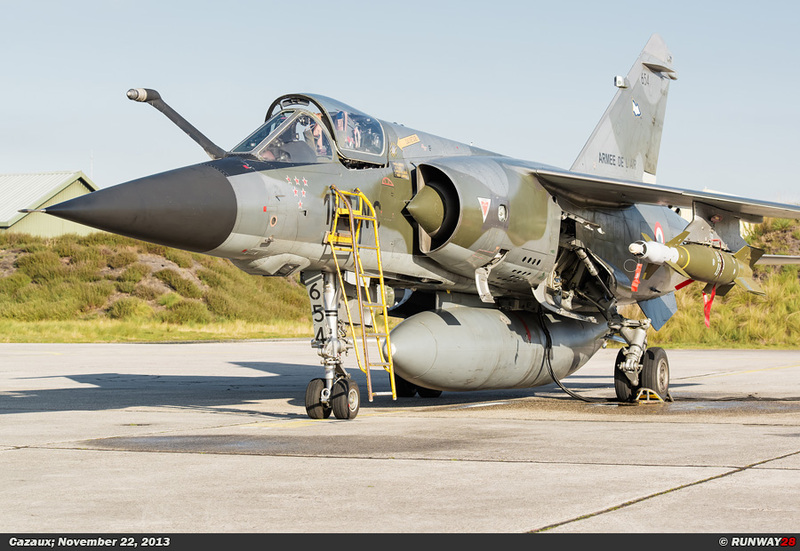 Cazaux is in terms of area, the largest air base in France, because the shooting range is a part of the airbase. perform well during its tasks. 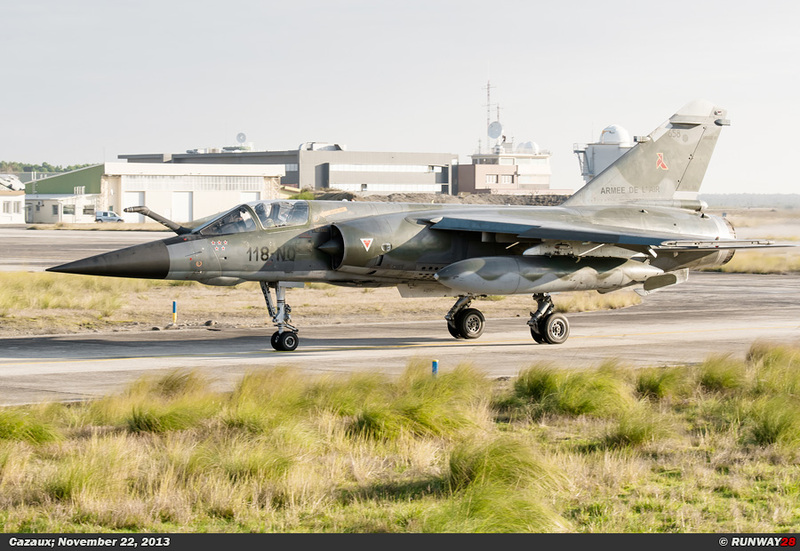 The Mirage F1 is able to perform multiple tasks, such as; reconnaissance, ground attack and air defense. 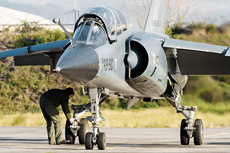 The aircraft is a very robust airframe which is resistant to the harsh conditions in countries in for example Africa. The Mirage F1 is particularly an aircraft which is enjoyable to fly for its pilots. 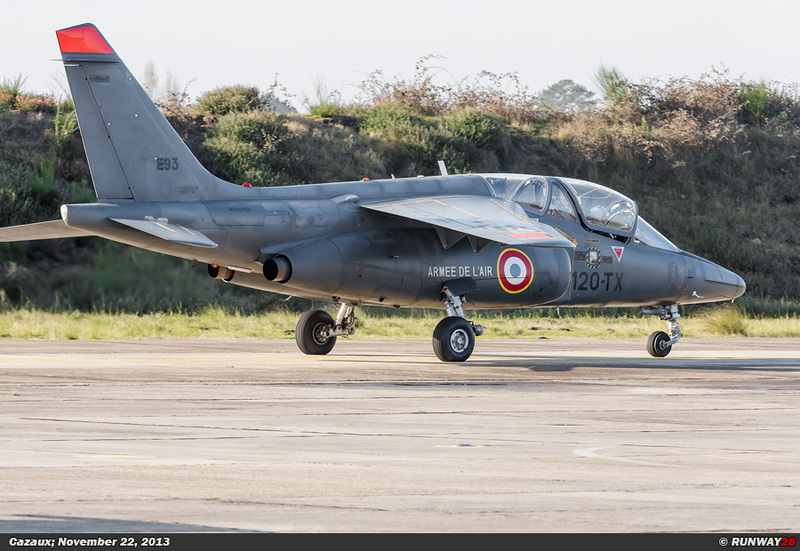 Many French pilots prefer to choose other types of fighters as their favorite when they start their career at the French Air Force. According to Souberbielle, it is because these planes also have their good qualities which make pilots happy and proud when they are assigned to this type. 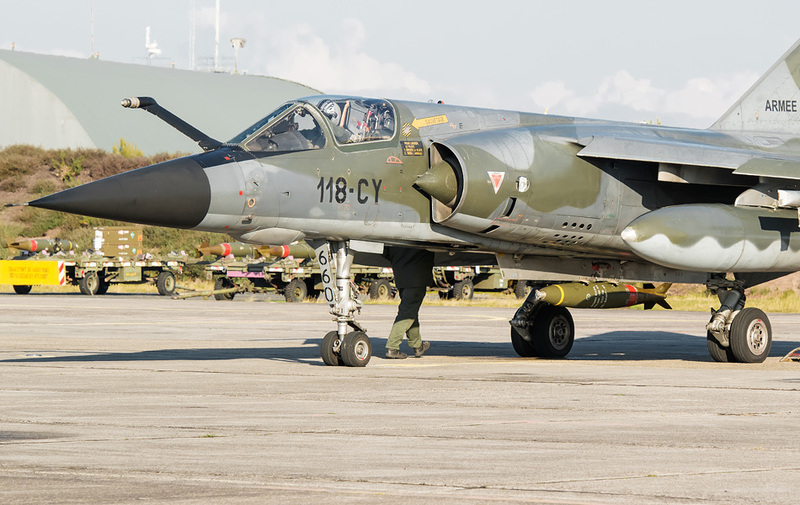 The limited capabilities of the Mirage F1 are known, but this is not a barrier for pilots who need to learn to appreciate their assigned aircraft type. 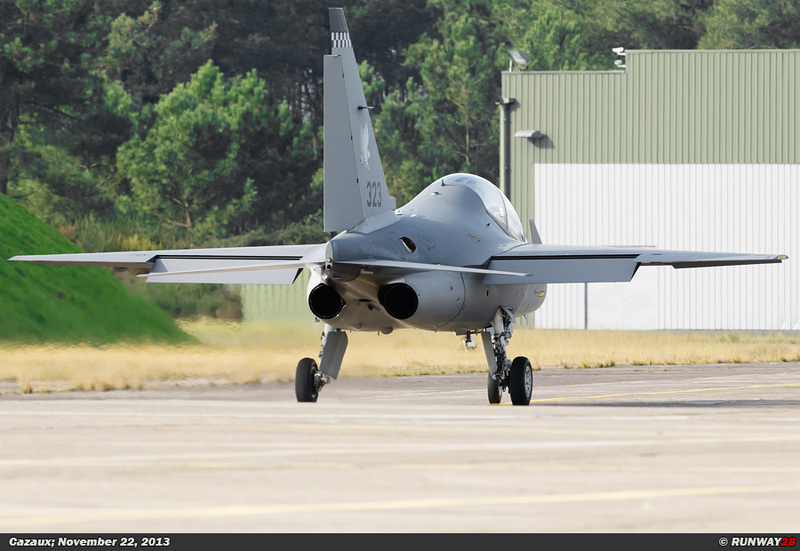 The flight performance of the F1 is less compared with modern aircraft. 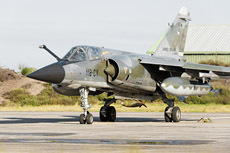 For example, the Rafale has more thrust and more capacity to carry many weapons; the aircraft is also more maneuverable. 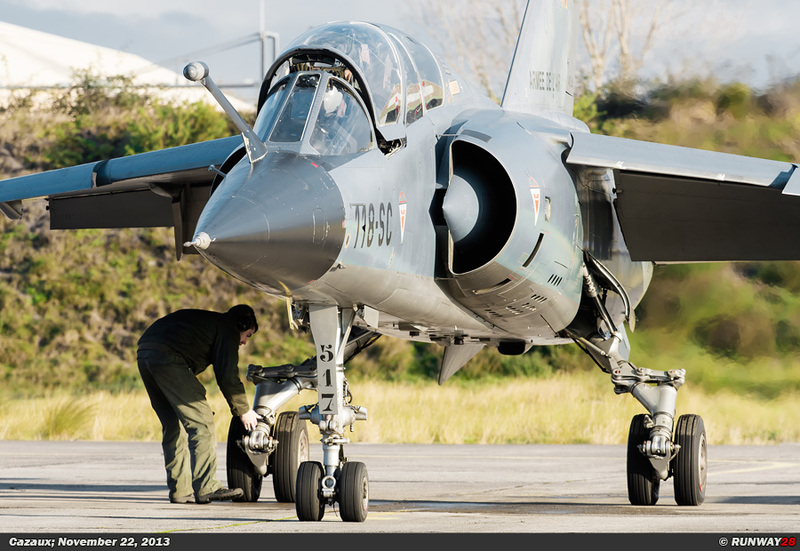 The pilots of the Mirage F1 adjust their flights and use another tactic which has been adapted to the performance of the aircraft. 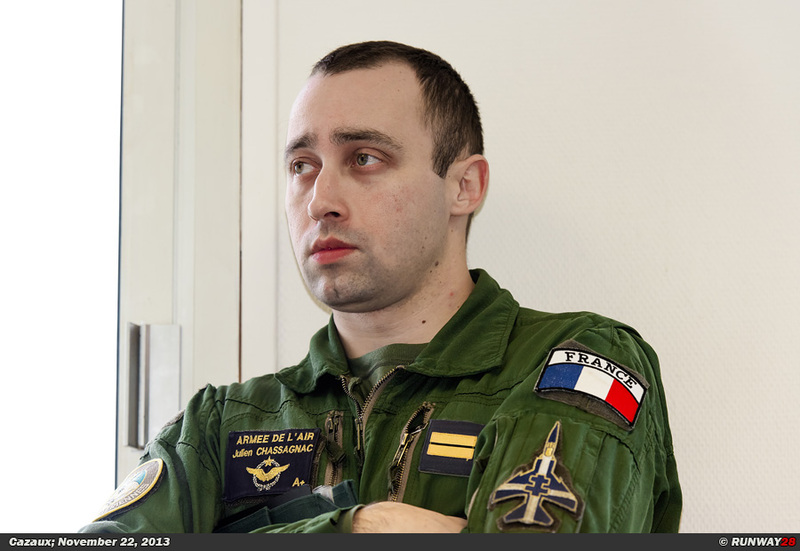 This is an interesting challenge during the work of the pilots according to Souberbielle. The tactics and weapons used during the Campagne de Tir at Cazaux are chosen and tested by the Centre d' Expertise de l'Armement Embarque (Center for Tactics and Aerial Weapons). The C.E.A.E. 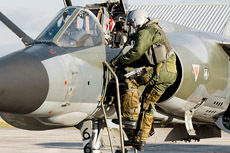 00.331 is also responsible for the training of pilots and ground crews when it comes to handling weapons. 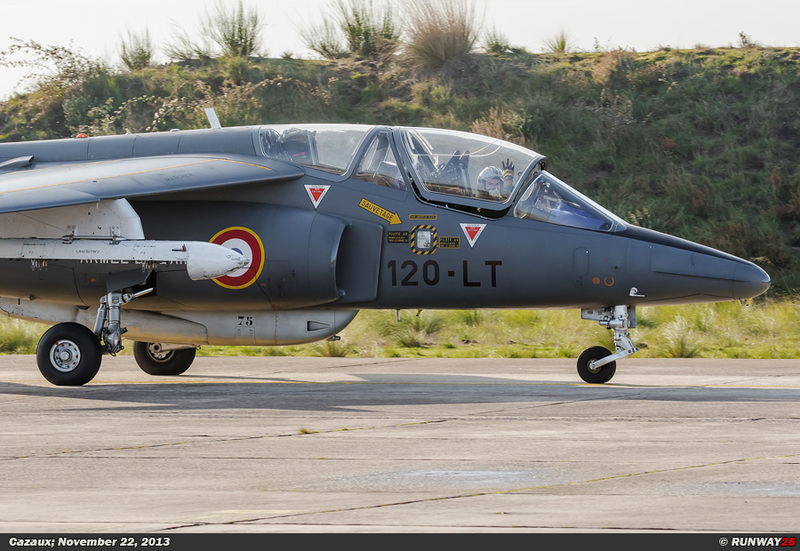 The pilots of EC02.033 will practice firing live weapons during the Campagne de Tir. 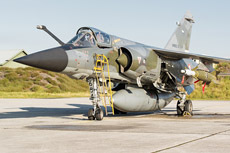 Every year all the squadrons of the French Air Force will practice in a period of 1 or 2 weeks at the BDG (Bombe De Guerre) at Cazaux. 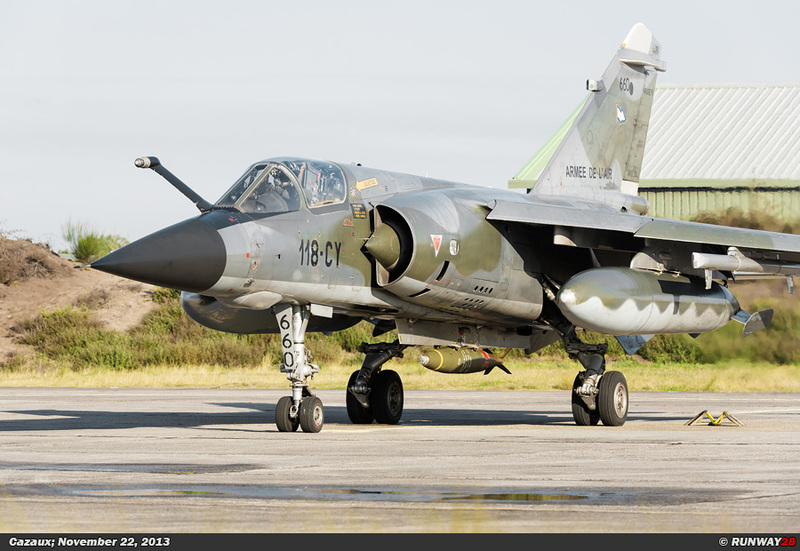 The Mirages will release live bombs at the Captieux Range which is located at 100km from Cazaux. 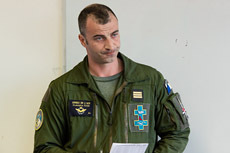 For the upcoming mission, the pilots were briefed by Captain Rudolph; he has more than 2200 hours of flight time on his name. 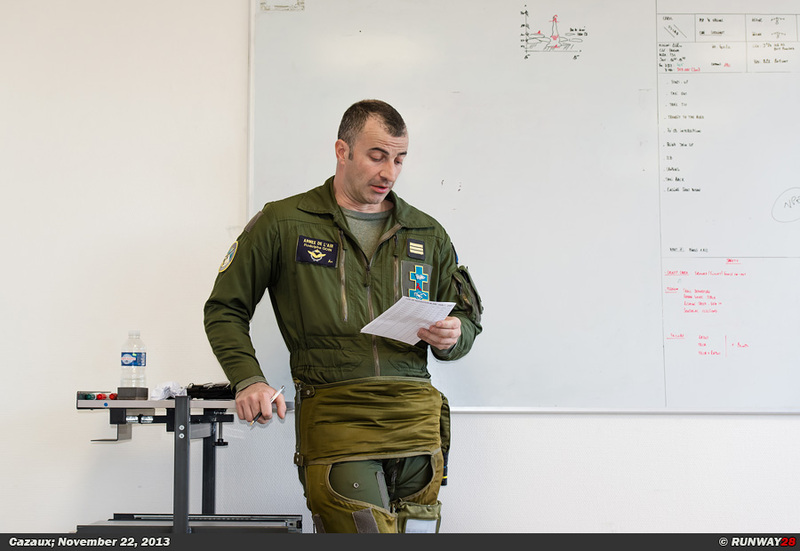 The two pilots who were briefed were Lieutenant Julien and Aspiring Raoul; they both have respectively 650 and 230 flight hours on their names. 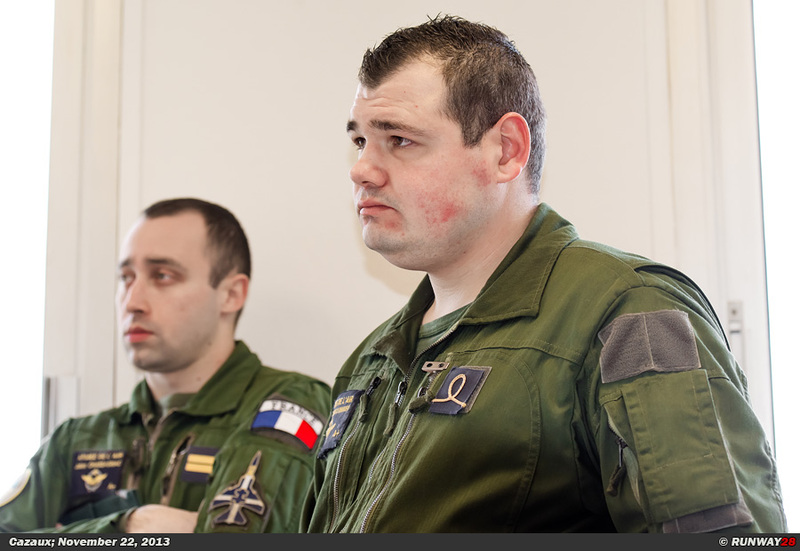 All the aspects of the flight are discussed in detail during the briefing. 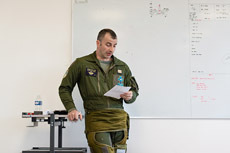 The captain leads the briefing; he stands in front of the white board and gives the instructions of the mission to the Lieutenant and the aspirant who are both listening intently. 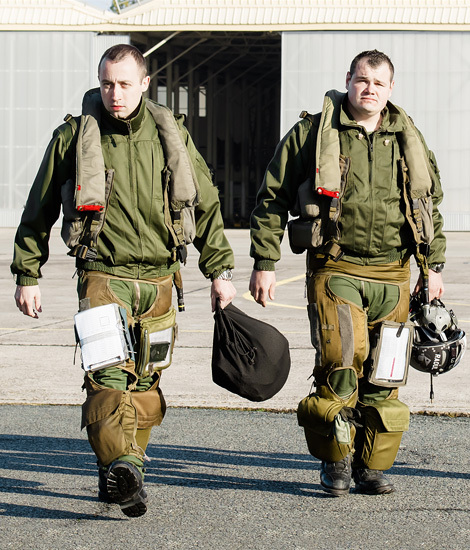 The weather is good today; we can carry out all missions, while it stormed yesterday said Rudolph with a smile on his face. 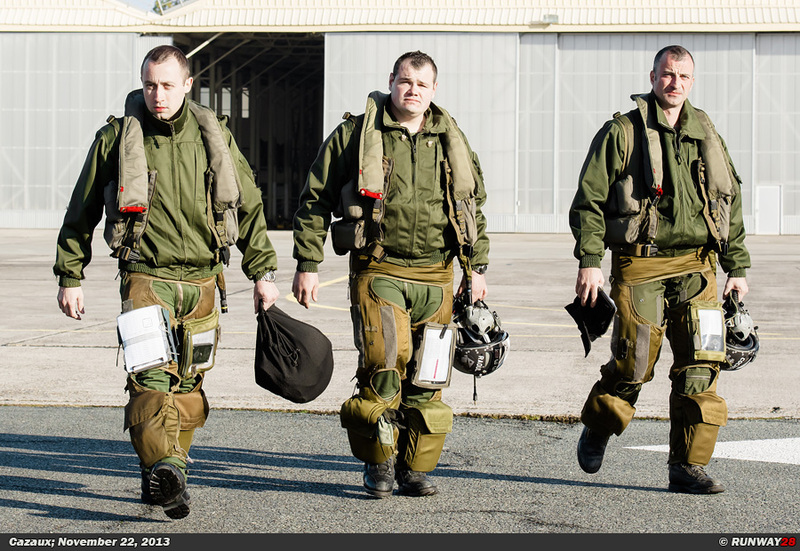 The three pilots indicate it is not yet clear which types they are going to fly after their time on the F1 next year. 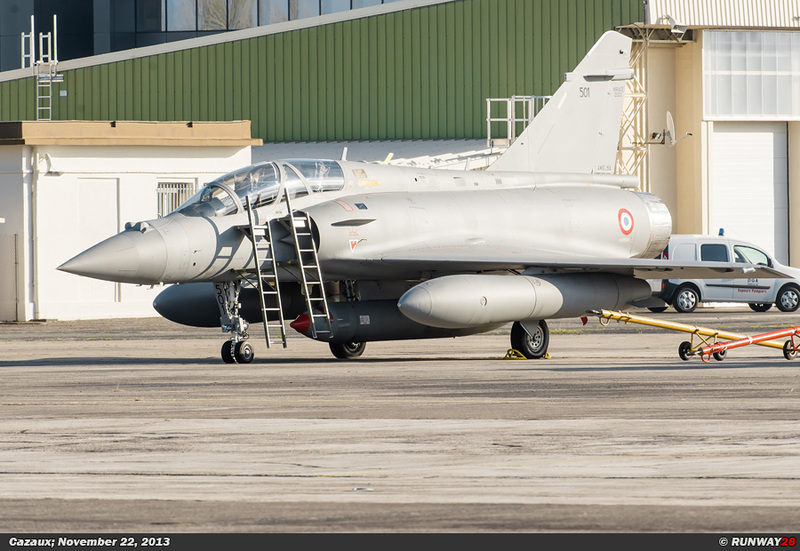 These men will probably join the Mirage 2000 and Rafale. 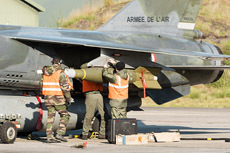 During the briefing, the ground crew ensures the right weapons are mounted to the aircraft according to the flight plans. 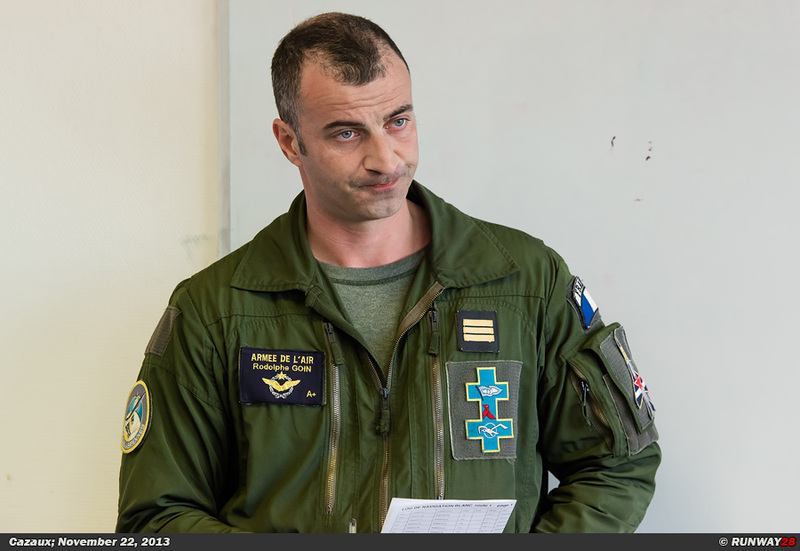 Captain Romain is the leader of the ground crew and provides an explanation of the weapons used during the shooting training. Romain explains the Mirage F1 is able to carry different variants of unguided bombs and laser-guided bombs in the ground attack role. 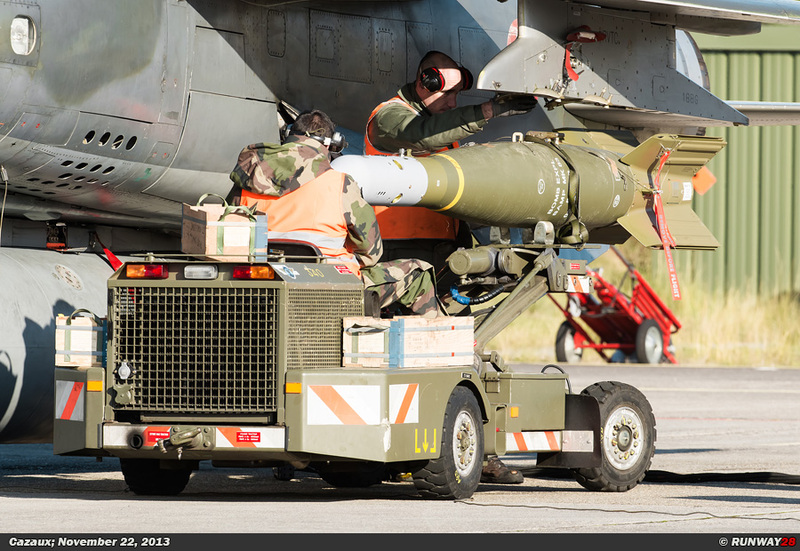 The standard unguided bombs which are used, are the Mk82 (500 pounds), the MK83 (1000 pounds) and the Mk84 (2000 pounds). 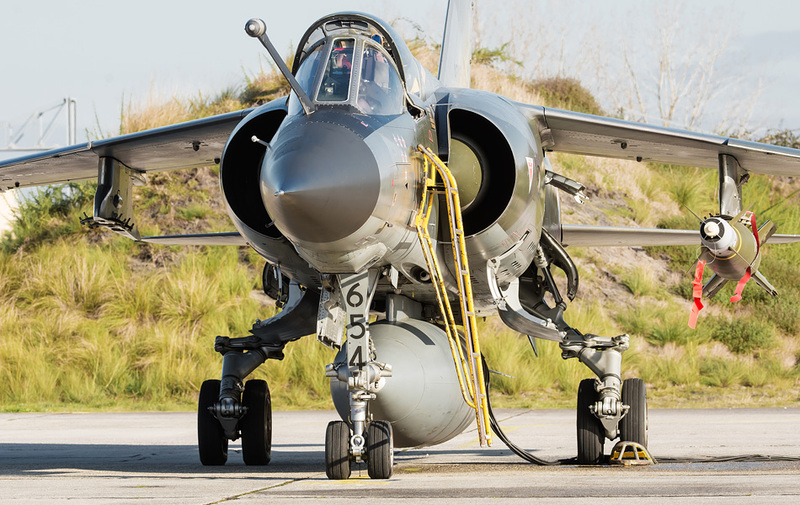 Laser-guided weapons are basically unguided bombs which have been updated to laser-guided bombs. 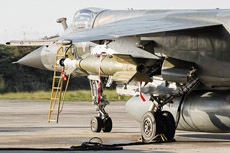 The bombs have fins mounted on the rear of the bomb to control the direction of the bomb during dropping. 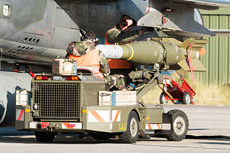 A laser-sensitive sensor for the detection of the laser spot is mounted at the front of the bomb; this system is the called the Paveway system. 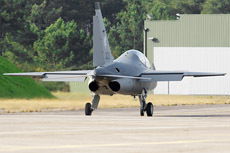 The most common types of laser-guided weapons are the GBU-12 Paveway, the GBU-16 Paveway II and the GBU-22 Paveway III. 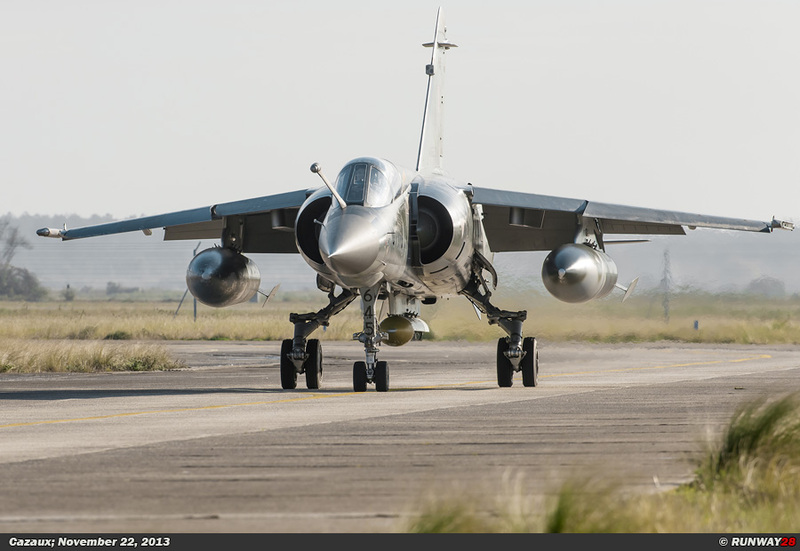 These bombs are respectively based on the Mk-82, the Mk-83 and the Mk-84 unguided bombs. 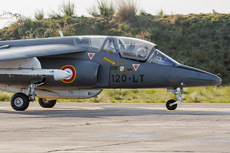 The bombs which were mounted under the Mirages during the training camp at Cazaux were Mk-82 unguided bombs and GBU-12 laser guided bombs. 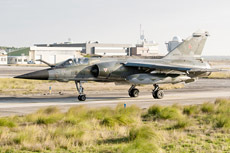 The Mirage F1CR has a limited capacity when it comes to air defense. 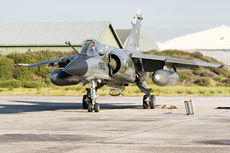 The aircraft can be equipped with the French Matra R550 Magic missile. 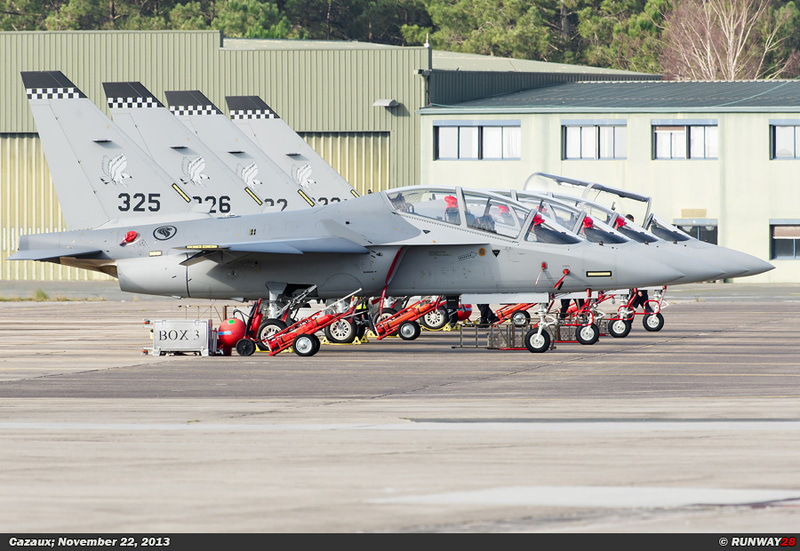 These missiles can be attached to the wing tip where a standard missile rail is mounted on the F1CR.